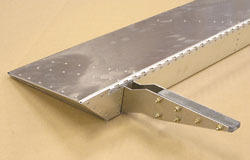 Sonex scratch builders may purchase aileron counterweight lead from Sonex. One brick can be sawed in half to make both Aileron Counterweights. 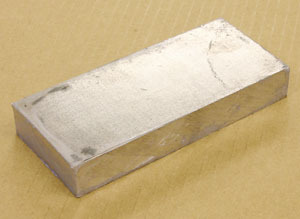 One lead brick (1" thick x 2.75" x 6.625"), saw in half diagonally to make Sonex Part Number SNX-W04-08 Qty 2.